According to archeologists, fire has played an important role in mankind’s lives for nearly a million and a half years, going back beyond the Neanderthals to the time of “Homo erectus” in Africa. For many years it has been believed that fire probably originated in the colder parts of Europe given the need for heat and warmth there. However, in 1981 a group exploring a region in Kenya found “burnt clay” mixed in with bones and tools. These scientists saw this discovery as strong evidence for the earliest controlled use of fire by man. The find dates back 1.4 million years. While the origins of man probably occurred in Africa, mankind also most likely moved from there to colder regions, such as Europe, northern Asia and North America. There is scientific evidence that the climate most likely was milder then than it is now. Perhaps there was not as much need for warmth when humans were moving around then. On the other hand, the need for warmth and fire came as the climate cooled. Before man learned to make a fire, they probably collected it from a volcano or a forest fire. Then someone learned to make a fire by friction as when rubbing sticks together or generating sparks by striking two stones together. Much later on someone invented the match, which freed people from fire tending and keeping the home fires burning. In Ireland there are accounts of home fires that were kept burning for literally hundreds of years! Today, a stove refers to a special container for fire. The stove warms the room. In earlier times, the stove meant the heated room itself. The vast green house at Kew Garden in England used to be called the Great Stove, and early open-hearth dwellings were stoves in this old sense of the word in that the fire burned on the open floor. The dwelling was the container! The Native American tipi and the so-called black houses of the Hebrides (islands off the west coast of Scotland) are examples of this kind of stove. The tipi actually functioned quite well with its hole in the top and flaps that could be raised to clear out the smoke. The black houses were dark and sooty inside as the name indicates. The black stove was often very efficient with up to 90 per cent of the heat being retained. However, a chimney was eventually added to the concept, which drastically reduced the efficiency to as low as 10 per cent retained heat. Other changes to the stoves, and fireplaces as they eventually became, came in the form of a raised hearth, which eliminated the need for crouching, and in some locations, dampers were added in an effort to retain more heat. The Shoshone around their tipi, circa 1890. From Wikipedia Free Online Encyclopedia. Several hundred years ago an event occurred in Europe that began to affect heat design. It is now called the Little Ice Age. It was a period of extreme cold in Europe lasting between 1550 and 1850. In the beginning in 1550, all Europe heated with open braziers or simple ovens and stoves of low efficiency. A wood supply shortage coupled with the innovation of chimney capable of removing 90 per cent of the heat supply drove innovation in heat design. By the end of the period in about 1850, many excellent designs had appeared. Designers began to experiment with heat channels, which acted as heat exchangers over a longer course than the simple chimney. Some excellent designs remain in modern versions. <– Kachelofen, c.1775, Schloss Hohenaschau, Upper Bavaria. From Wikipedia Free Online Encyclopedia. The elegant design at left is a tile heater and it and similar designs would be found in homes of the wealthy. Another piece of the puzzle still needs to be added: the masonry part. We are not sure exactly how or when it happened, but we do know the technology is at least as old as the Roman bath. The technology was used by the Romans to run channels of heat below the baths, which heated the tiles sealed above, which in turn heated the water in the baths. The technology was not only old, it was wide spread as the Roman Empire itself expanded. Eventually, this technology began to be used in northern Europe and England, probably as a simple stove or oven, or a combination of the two. 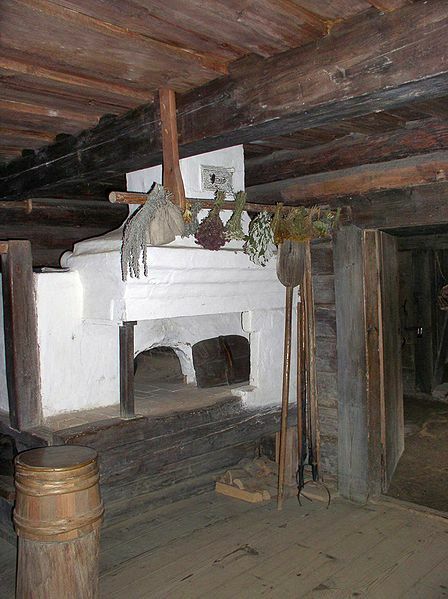 At right: Typical Russian oven in a peasant izba.“A Russian oven or Russian stoveRussian: Русская печь) is a unique type of oven/furnace that first appeared in the 15th century]. It is used both for cooking and domestic heating. The Russian oven burns firewood or wood manufacturing waste.  –From Wikipedia Free Online Encyclopedia. Do not let the term ”Russian” confuse you. 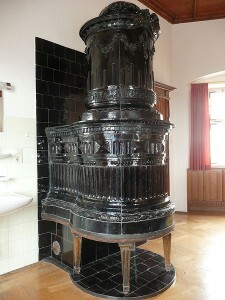 This type of stove and oven or similarly constructed stoves, used in combination or not, was used throughout Europe in humble homes. It is probably made of clay tiles and bricks that are covered with plaster. They are quite efficient in colder regions because the thermal mass of the heater radiates heat even after the fire is out. The heater is constructed with a series of channels inside it, which allows the whole heater to be warmed. The Wikipedia Free Online Encyclopedia gives the following uses of the heater: “Besides its use for domestic heating, in winter people may sleep on top of the oven to keep warm. The oven is also used for cooking, for example, to bake pancakes or pies. The porridge or the pancakes prepared in such an oven may differ in taste from the same meal prepared on a modern stove or range. The process of cooking in the Russian oven can be called “languor” – holding dishes for a long period of time at a steady temperature. Foods that are believed to acquire a distinctive character from being prepared in a Russian oven include baked milk, pearl barley, mushrooms cooked in sour cream, or even a simple potato. Bread is put in and taken out from the oven using a special wooden paddle on a long shank. Cast iron pots with soup or milk are taken out with a two-pronged metal stick. Because clay is subject to stress from heat, it has its disadvantages. When overheated, the heat stress can cause it to crack. When the system is not damped, it doesn’t present problems because the fumes exit through the chimney via the system of channels. If the system is damped, the leaks can be toxic or fatal as the fumes can find their way into living quarters. Options to clay construction are fire brick and stone. Fire brick is not as dense as most stones, which lessens its heat storage capacity. Of the stones that have been used in masonry heaters, soapstone combines its ability to withstand the stress of high heat with the ability to store the most heat. Soapstone is the most recent innovation in the long history of masonry heaters. It is history in the making! If you would care to, we suggest reading The Book of Masonry Stoves: Rediscovering an Old Way of Warming by David Lyle, Chelsea Green Publishing Company, White River Junction, Vermont 05001. 1984.